Making your PST file encrypted is a good habit but what would you do if you forget the password of that PST file. Yes, this may happen with users who have created encrypted PST files, but unfortunately forget its password and unable to decrypt. That is why we are here to help in decrypting your Outlook PST password in 2 easiest ways. Open Outlook. 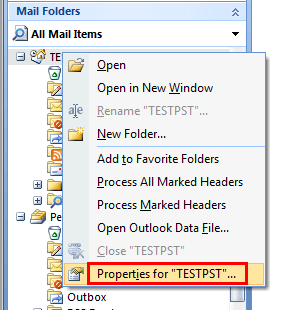 Select PST file, then right-click and select Properties. Select the Advanced option and then click OK to move ahead. 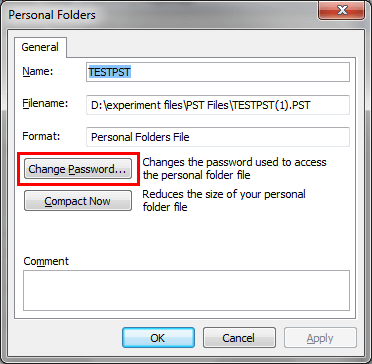 Now choose Change Password option in Personal Folders dialogue box. Enter your Old password, New Password and then OK. Your password is changed. 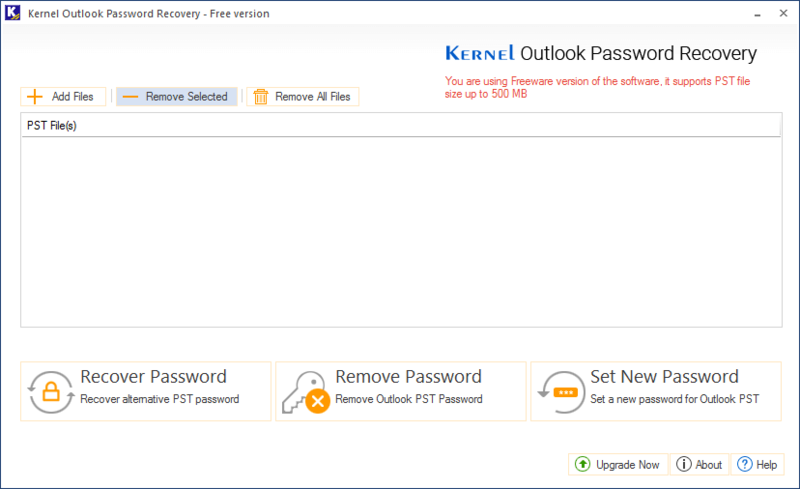 Kernel for Outlook Password Recovery is a specially designed tool for recovering your lost PST passwords. You can also remove password from encrypted PST, or you can set a new password to it. This Outlook password recovery software has only three steps to decrypt your password and then it will display the password automatically. Launch the Software and use Add file button to add PST file. 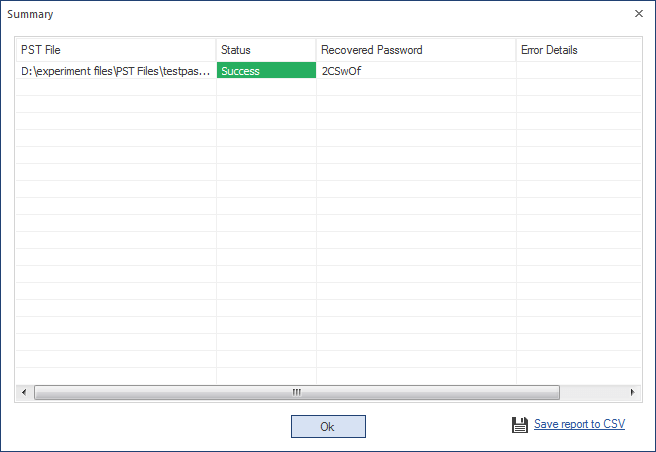 Add PST from your system hard disk then use Recover Password. Your password is decrypted and will be displayed on the tool. When you want to decrypt your password, then instead of using the manual technique, you can go for a third-party tool. 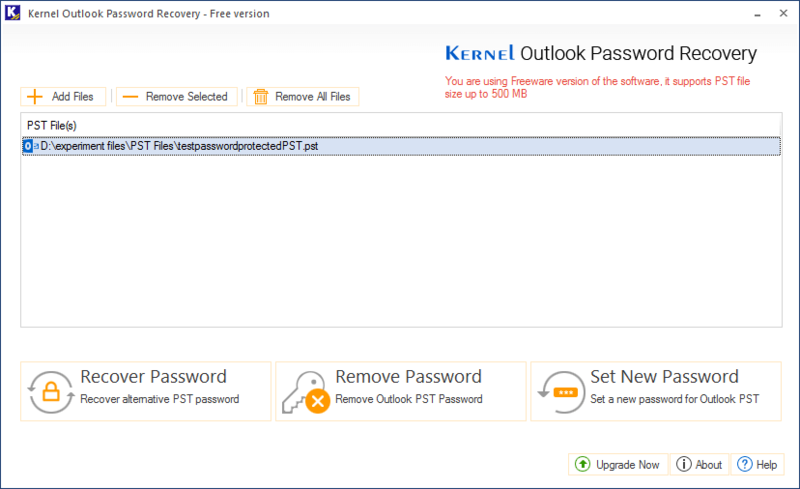 An automated tool offers you options for password removing, change and recover Outlook PST Password. This software is quick and reliable for end users and has only three steps for decrypting the password. The tool supports all encrypted PST created in any version of MS Outlook. 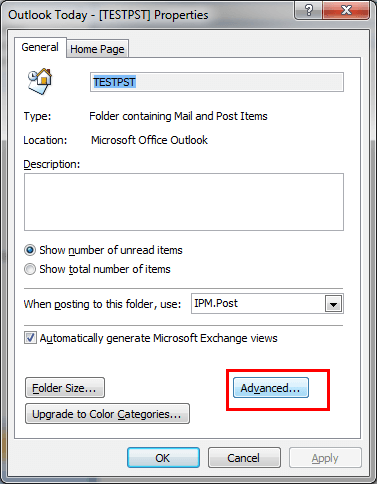 How to Unlock Password-Protected Outlook PST Files?